Tharus saw the man leave the building, and the wind changed, he took a breath. It was the prey, the scent confirmed what the feeling he had made him suspect. Quickly, he lept into the air pushing off the walls of the alley that was his hiding place, and soon found himself on the roof of a building. He began to run along the rooftops, keeping a distance, but watching. He decided he would hunt his prey a little longer. As Zach walked down the sidewalk, he felt a strange prickling, not at the back of the neck, like when one's being watched, but at the back of his mind, as if someone knew what he was thinking. He kenw that was silly, but the feeling persisted, adn it was making him quite uncomfortable. The more he walked away from the sensation, the worse it grew, until he found himself sprinting along the sidewalk. "C'mon, get ahold of yourself. There's nothing there; no one' following you. No one who'd want to has seen you without your mask; you're safe." Cale did his best to asure himself, and succeeded to an extent. He managed to calm himself down slightly and continue his walk in relative peace, with the feeling of being hunted nagging at the back of his mind. While still jumpy, at least he wasn't drawing stares from the crowds at the moment. With an attempt at a relaxing sigh, Cale continued his walk. Fara finished her shift exactly on time. There was no waiting around an extra minute. Time moved at a snails pace there to begin with. One minute actually felt like five. 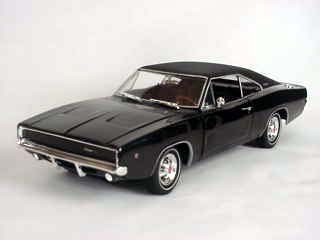 She eased her self behind the wheel of her pride and joy, her wonderful new love, her black 1970 charger. She spun it out of the parking lot and head for her hang out, the ever trusty Kragget Diner. It was a safe place, but just not near the safe part of town. It would be night soon, and unless you knew what you were doing the city could be an unwelcome place. Good for Fara she knew she could take care of herself. She sat at her usual table, in the back, facing the door and window, watching for Ghez to come. He strode in, confidant. She noticed how, for all his time spent in the front lines, he still looked good. He was a focused man, Fara found that easy to understand with out reading his mind. She didn't quite feel right about reading his mind all the time. Ghez had earned his privacy. "So" he said as he sat down. Amy said impatiently in the food court tapping her fingers rhythmically on the table top. The noise was such that a few fellow customers sent glares her way. Amy stopped blushing slightly but her attention was quickly diverted to the sharp figure of Carmen as she cut her way through the crowd, not at all bothered if she violently bumped into anyone. Amy suddenly wondered if sheÃ¢Â€Â™d done the right thing in contacting the reporter. Her thoughts were broken as Carmen pulled out a chair, itÃ¢Â€Â™s metal feet ground noisily on the floor. Ã¢Â€ÂœSo what do you know?Ã¢Â€Â she asked coolly. Carmen raised a brow and waved her hand to indicate that she wanted Amy to continue. Ã¢Â€ÂœIÃ¢Â€Â™m not crazy,Ã¢Â€Â Amy said a little more loudly then she meant to. A few people looked their way. But their attention was quickly diverted as the sound of an engine rumbled into earshot. It was quickly followed by screams. Amy opened her arm to ask what she meant but suddenly the pair were teleported to the ground floor directly in front of a lingerie shop. Ã¢Â€ÂœHow, howÃ¢Â€Â™d you do that?Ã¢Â€Â Amy started. Ã¢Â€ÂœShut up and following me, looks like you got spotted,Ã¢Â€Â Carmen said simply. The Reborn was content to wait until Reaper returned to his appartment, but he noticed another shape stir, following Reaper--interesting. So he wasn't the only one following Reaper. Perhaps the girl Reaper had abducted had friends? It payed to check out. Reaper was no good to him dead, and he might very well be that, he had appeared to leave without any weapons. The Reborn set out in pursuit of both Reaper and his mysterious tail. After almost an hour of shootin' the bull with his war buddies, Gez wheeled his cart of weapons to the trunk of his Cuda and unloaded them. He had upwards of two hundred thousand dollars worth of ordinance in that case. He closed and locked the trunk, noticing Fara's Charger was gone. "Ah damnit... " Gez quickly started the Cuda and sped out of the base. Traffic was lite this time in the evening, so he didn't have to worry about keeping her waiting for too long. The night lights of the city were spectacular, it was when the tourists came out and did their shopping. After about ten minutes of driving, Gez pulled into the Kragget parking lot, again next to the Black Charger that could only by Fara's. He straightened the decoration bars on his Service Jacket before walking through the chrome doors to the 50's style diner. He got many friendly greetings from various cops and fellow Marines as he made his way to Fara's table in the corner. Fara raised an eyebrow as Gez sat down. "So..." He said sliding into the booth. across the table from her. "So?" She looked at him warily. "What's this 'Top Secret' Military Program you've been rambling on about?" Gez pulled a datapad out of his coat, sliding across the table to her. "...Why is this significant?" "Michael called me earlier and needed me to look up an organization. He was pretty sketchy on the details, but there was an attack on the 'Redeemers' makeshift base this morning. I can only guess this organization is involved." "Really." Fara's eyes were instantly focused on the pad with such intensity, it could have caught fire. She laid the 'pad on the table, switching her gaze back to Gez, who looked like he was subtly planning on getting up and leaving. "And where do you think you're going?" Fara put her hand on Gez's forearm. Gez didn't know what to do, he was sure he had some stupid confused look on his face, which would be embarrassing. "I...eh-"
"You're staying right here, Mr. 'Nine-Hundred-and-Forty-Seven-Kill-Streak'." She looked so serious it was almost disturbing. There was a slight pause before the two sort of busted out in a quiet laugh. "I have to say I wasn't expecting that..you've been looking at my file haven't you...heh..." Gez wiped a tear from the corner of his eye. "Maybe...but who doesn't know that?" Fara smiled picking up the menu. "How about some late dinner...?" "Ah...yeah, I could go for some Canadian style pancakes." The train station was the nearest escape posibility, only a block away at this point. But the gunshot wounds were hindering his speed and the Feds were drawing ever nearer. The man reached down to feel the wound on his leg. He brought his hand up and it was covered in...glowing green coolant. Good. Not blood. Blood would mean the bullet went through some organic part of his body that couldn't be repaired. Now for the chest wound. The man slammed up against a wall to brace himself and it cracked and nearly collapsed inward. He reached up to feel it, but coughed into his hand instead and sounded like, well, a robot coughing. He wasn't getting used to that. He checked his hand, revealing...more glowing green coolant. Good. He can repair himself while on the train. He pushes himself off the wall and it finally collapses in, no worries. He turned the corner into an alley and out of the light of a streetlamp. He could see the train station. The closest one passed the dumpster and never knew what killed him. The man threw a punch that pulverized the agents skull instantly, spraying blood, bone, and brain matter onto the second agents face. He began to have a nervous breakdown because of the horror and was about to scream, but leaned over to vomit instead. The man moved to the third man who wisely had his gun out already, but that didn't really matter. The man moved with speed uncharacteristic of someone, or something, so heavy. He extended his hand and drove it into the mans chest, grabbing hold of his hard and oblitherating it. The force of rapidly exported blood caused the agents eyes to explode in a very bloody manner. He died almost instantly. The man then turned to the last agent who was just finishing his vomit session. He was bent over in a corner trying to regain composure and not drop his gun. The man came up behind him and thrust his hand into the agents back and with a horrifying crunching sound ripped out his spinal cord. The agent collapsed and the man crushed his skull underfoot like it was a dry leaf. The man turned to walk toward the station once more, but then considered his bloody metal hands. He pulled out some gloves from a pocket and covered them, then lowered his fedora to conceal his glowing eyes. He made it to the station and it was mostly empty, very late anyways. He went to the first train the stopped. It read "Norton Peak" as its destination. The man accepted it and snuck on, not bothering to buy a ticket since he had no money. He picked a cabin, walked in and took off his trenchcoat to begin repairing his two gunshot wounds. The train eased out the station, and he left Mission City behind for this...Norton Peak. Powers: Cyborg. Robocop-esque. There are many things concealed within the metal body that the man has yet to know of or be able to control. Background: The man, or thing, woke up at a test facility where he was made. It was low security, and he guessed that he was a failure and left to rot in a containment cell because whoever creaed him didnt expect him to actually work. For some strange reason, he activated on his own and freed himself, making his way to the nearest city, Mission City. There were no symbols or identifyable logos at the facility that the man recognized to let him know who did this to him. His memory before the transformation has been erased. For now, he's simply trying to avoid what he thinks are federal agents who are trying to kill him. Eventually, he will desire to solve his own mystery. Screams. They were one of the few things that could be heard in the mall, other than the mob of people running for cover or hiding in fear. This didn't bother Bloodhawk. Thonly thing on his mind was to save the girl so he could find out what happened at the Poulet. Just before he could though, he heard a voice above the pandomoneom ,"Hey you! Buddy! Would you mind taking your joy ride outside?" He turned around to see who said that. It was some dude, wearing normal clothing, and didn't seem to fear. Whatever, he can't do anything. Cale thought as he looked back to his target... wait, where was his target? He looked around, and couldn't see her anywhere. *D@#N IT! * he growled. She must've been a mutie. Or the kid behind him teleported her. Or the reporter was. Or maybe they were all linked somehow. *Well, now I can deal with the punk behind me without worrying about something for now...* he thought as he jumped off the bike. He slowly began to stalk towards the man, making a sickening sound as he cracked his knuckles. "Listen punk, I don't know how or why she just disappeared, but since you were the one who distracted me, you've put me in a very foul mood. Get ready to dance." Bloodhawk stated ((with his awesome batmanlike sound)), throwing a shuriken at the man. Michael tried to get out of the way as he threw the shuriken but he didn't move fast enough. He grunted as the metal piece embedded in his arm. Clenching his teeth he pulled the mtal object out. "Listen buddy. I don't know where you get off throwing these things around. But that's not something I want to see in a city mall. I'm giving you one more chance to get out of here before I get mad." Paying no heed to the warning the man cocked his arm back to throw another. Michael was ready this time. Using the metal of the shuriken he assumed the metal as his skin. This shuriken harmlessly bounced off. Michael cleaned off the blood ignoring the cut in the metal. "Fine then. Don't listen to what I say. But I'm getting you out of here even if it is in pieces." Michael grabbed a chair and hurled it at the man who dodged it only to be met by a slab of steel. The man rolled onto his back and used his momentum to get the massive man off of him. Michael smiled and came at him again. It was a rainy night, and a only a memory of the water hitting Morana's face. Her Prey walked in front of her. This hunt was to be a fast kill. This particular prey, was drunk, and that only made him easier to read. Oh yes. He deserved his death. But not the speed and which Morana was practicing. He actually ambled up to her, the smell alcohol preceding him. Morana was repulsed. How could this man actually be smart enough to call himself a Doctor? Butcher was more like it. "Hay baby? How about it tonigh?" He slurred it. " I haves 50 bucks that says you're mine"
She grabbed is neck with one arm, and his eyes grew wide with fear. "I can not be bought, slime." And with that she killed every nerve in his brain. A long moment passed, and she let go, letting the body hit the ground. She fell back, into a brick wall, just to support herself. Yes fast was effective, but regrettably, wore her out. And with that Morana fell back into the darkness of the rainy night. Fara enjoyed her dinner. Ghez was always an interesting character. She liked this change of pace, of talking to learn a person, rather than always just reading ones mind. Ghez had something those others didnt have either and appeared to be able to tell if she was starting to read him. "Well I must be heading on out." He said, standing. He tossed his money on the table. "A soldier's work is never done." Something was up. Fara knew him better, and she knew it had to do something with that new attack and data. Fara was out the door as fast as she could. Her charger growled to life as she tried to get a safe tail on him. Carmen didnÃ¢Â€Â™t really know if she needed to take the girl with her but it was pretty obvious that Mr Haze was in town and very much up to something. Carmen vaguely remembered Amy. SheÃ¢Â€Â™d done work experience as a student or something when Carmen was still getting paid to be a reporter. Ã¢Â€ÂœDo you recognise any of the bodies covered in bugs?Ã¢Â€Â Carmen asked as she grabbed Amy by the arm and proceeded in dragging her along through the tiled aisle. Ã¢Â€ÂœI donÃ¢Â€Â™t care, where thereÃ¢Â€Â™s one thereÃ¢Â€Â™s probably going to be more,Ã¢Â€Â Amy replied as she continued to run. Arthur Stone stared at the computer screen. Carmen. Her face had looked so familiar. And it didn't bring happy go lucky feelings back either. But he couldn't quite put his finger on it. Stone awkwardly typed out what he was looking for. He never really was good with computers. Stone got up and made his way over to the medbay. Shaylee was sitting with her legs propped up. Her bandages were a bit damp with blood but nothing too bad. "Hey Shaylee. How are you doing? You feel alright?" "I'm fine. Just bored out of my mind. I need a computer to get on." Arthur smiled. "I may just have the job for you. Come on." Arthur moved to her and scooped her up. He made his way to the Redeemer's single computer and set her down. "I need info on Carmen. Anything. My gut feelings are rarely wrong." Shaylee cracked her fingers and began typing away. Within seconds she perked up. "According to this one site, our Carmen was a reporter. See? Her pictures right there." Arthur studied it. Hair was a bit different, but it was definetly her. "Can you get anything else?" "Leave me to this for about an hour and I'll have all you need." Arthur nodded and set off to do his other duties. The thought of bugs being in the mall made a chill run icily through AmyÃ¢Â€Â™s body. SheÃ¢Â€Â™d seen what those bugs could do to a person and she didnÃ¢Â€Â™t plan to stick around for them to eat her. Her fingers were digging into CarmenÃ¢Â€Â™s arm and it was only when the older woman growled did Amy realise. Amy darted through the crowd that was still panicked, she managed to dodge a woman with a pram that seemed intent on using it to run over other shoppers while her baby was held safe in her arms. Carmen cursed as the woman ran into her. Amy gaped as Carmen picked up the pram and threw it at a shop window. Unfortunately some of the other customers saw her action and started their own violent rampages. Looting quickly started as the screaming and panicking continued. Ã¢Â€ÂœWhat did you do that for?Ã¢Â€Â Amy yelled above the noise. Ã¢Â€ÂœDiversion, now letÃ¢Â€Â™s get out of here,Ã¢Â€Â Carmen said as she started dragging Amy towards the nearest exit. Powers: Mild telepathy, flight and impervious to fast moving projectiles. Background: Boy from the wrong side of the tracks. His first job was as a pick pocket but he was quickly caught and spent his first short stint in jail. Upon realise Dallas took on his first Ã¢Â€ÂœrealÃ¢Â€Â job as a cashier at a discount warehouse. Unfortunately he made friends with two of his dodgier colleges, Marcus: a shapeshifter and Alex who was able to turn invisible. The trio teamed up and started stealing credit cards, it was at this time that Dallas learnt of his ability to read others minds. He was able to Ã¢Â€ÂœhearÃ¢Â€Â people thinking their pin numbers when at an ATM. Alex would then rob the person while Marcus would shapeshift into the victim and go and clean out their account. Then they all got too greedy. The day Marcus suggested robbing an elderly woman was the day that Dallas felt a twinge of his conscience. Marcus and Alex quickly ditched him and reported him to the police. Again Dallas did some jail time. Upon this second release Dallas decided it was time to start afresh. He moved to Norton Peak in hope of cleansing his dirty soul. Dallas stood back in shock as people started going nuts in Norton Mall. The fact that people were starting to loot the place brought back bitter memories to the petty thief, but in all honesty what could he do? If he tried to help it was more than likely that heÃ¢Â€Â™d be blamed for the crime taking place. Instead he walked over and picked up the battered pram that had started all the fuss. He handed it back to the freaked out woman with the baby. She muttered a thank you then cleared out. Dallas decided it was probably best for him to do the same. As he exited the building he noticed a limo parked outside the mall. Dallas raised a brow it wasnÃ¢Â€Â™t uncommon for a limo to occasionally pull up at Norton Mall, but not at this time of night. Dallas strode towards the limo and tapped on the driverÃ¢Â€Â™s window, it was only polite to warn the driver of the chaos going on inside the mall. Gez walked out of this diner over to his Cuda, unlocking the trunk. He popped the airtight seal on large stainless steel case he had loaded into the car earlier, digging through the various gun-shaped plastic cases until he found the two he was looking for. Gez closed the case back and locked the trunk, he then sat down in the driver's seat opening the two pistol cases. "Ah, beautiful." The first one he opened was a Color Case Blued .45 Long Colt Ruger Vaquero. with both six and ten inch barrels, along with a Leupold 8x Scope and mounts. It was finished in Black Oxide with custom Millett adjustable sights and 'Finger Groove' rubber grips. "Just like dad's..." Gez pondered a moment before clamping the two cases closed and sticking them behind the seat, sliding the duffle bag with his gray fatigues and other various gear over top of them. He started up the Cuda and floored it out of the parking lot, for fun more or less. He called Michael, who failed to answer his phone. He did however find the location, 'Norton Mall Vicinity'. Gez could only guess Michael was trying to break up some of the trouble he'd seen on the news. He suddenly slowed down and took a turn into an alleyway, a shortcut to the Mall parking lot. Gez was about halfway down it when he felt an odd sensation in the back of his mind, instinctively 'Focusing', as he called it. He probed his mind the best way he could, identifying the feeling as an unrecognizable emotion...no...a presence. The word Telepath came to mind. Gez slammed the brakes hard causing the car to skid to a stop in the icy asphalt. He suddenly filled his mind with random thoughts, hoping to confuse whoever it was digging in his thoughts. The sensation went away, vanishing entirely. Gez pulled himself out of Focus, shaking his head slightly, looking at himself in the rear view mirror. His skin had paled slightly, and the veins around his forehead were more visible. He merely scoffed and drove the rest of the way down the alley, turning back onto a rarely used side road behind the mall. He pulled up to a red light that connected to the parking lot entrance to the road he was on. Sure enough, there were no cars anywhere in sight. Gez didn't have much choice but to look around while he waited. The sidewalks weren't very crowded on this side, he noticed. The larger hotels were more bunched around the eastern side of Norton Center, the area the tourists favored. Just as the light turned green, one thing caught his eye. A young man, several years younger than himself, he guessed. He was casually dressed, standing next to the traffic pole frantically pushing the button to the crosswalk. It wasn't a usual aggravated gesture, but it looked more out of fear. Gez rolled down the window, leaning out. "You alright, son?" It was easy for him to slip into the caring-Sergeant personae these days, especially after the Middle-East. At first, it didn't appear the man heard him. "Son?" The stranger looked over his shoulder, then casually started walking over to the Sublime Green Cuda. "Yeah?" He looked either confused, disturbed, or scared...maybe all three. "You look lost, son. Need a ride somewhere?" The stranger appeared to look over Gez's service jacket, noticing the numerous decorative bars, medals, and pins. He appeared to find some sort of comfort in Gez's obvious Military affiliation. "Yeah, yeah I do. Anywhere but here." The guy got in, sitting down comfortably in the passenger's seat. "Alright then." Gez gassed the pedal, speeding down the road. "What's eating at you? You look nervous." "I've seen nervous, trust me, I know..." Gez looked over to the kid and held out his hand to shake. "Barrett, Sergeant James Barrett. United States Marine Corps." Short post prior to school, sorry. The Reborn continued to follow Reaper. Before long, a man in military dress pulled over near him, and asked if Reaper wanted a ride. They didn't seem to know each other, but Reaper got in anyways. The Reborn knew he could never keep up with a car, so he could either kill the power to the car, or try to find Reaper somwhere else. "Name's Zach. Zach Cale. Thanks for coming along, Sergeant Barrett." Cale shook the profferred hand. He breathed a mental sigh of relief. With this soldier's help, he'd be able to put some good distance between him and whoever was following him. In fact, already his frayed nerves were calming down. "So, Cale, right? What was that all about? You looked pretty nervous, I'd almost say terrified." "I'm fine, really. It's just one of those things, you know, when you feel like someone's walked over your grave? Random chills, bouts of fear, sensation of being hunted...the usual." Zach cursed himself mentally; the hunted bit hadn't been supposed to come out. Mr. Haze's scout bugs were all over the mall, looking with increased franticism after Carmen teleported away, causing them to lose the target. Eventually, one bug noticed the pair of girls near a lingerie store. Unofortunately Carmen's diversion had created a mass riot, making following them near-impossible. Leave the mall! He commanded his bugs. They're clearly leaving! Cover all the exits! Suddenly, there was a tapping on the limousine's window. "Um, sir..." Hogan the driver piped up. "Hnn..." Mr.Haze slowly stirred from his trance. "What is it, Hogan?" "There's someone tapping on the glass, I--"
"Yes sir." Hogan shut off all the lights to the back of the limo, as was protocol, and rolled down his window and looked at the headband wearing ruffian who was tapping the window. Meanwhile, at Redeemers HQ, Burst Limit was minding his own business, apparently mourning the death of High Voltage with his "teammates", until he came upon the medbay to visit Shaylee who was healing up healing up very well. She was talking with Stone. He scooped her up and together they left the medbay. "Scuse me, Burst." Stone said offhandedly as he exited, avoiding a collision. What's that all about? Burst Limit wondered. He decided following them, at a reasonable distance away, was in order. A mutie. Why did they always have to be muties??? Why couldn't he fight a teddy bear? A pink teddy bear that gave out hugs instead of trying to kill him? Ah well... I guess a mutie who could absorb the physical attributes of his surroundings would have to do. Bloodhawk had to find a way to get through his metal hide. He barely managed to dodge the metal man by a hair. He quickly jumped back a few paces to give himself more time to think. Cale looked around looking for an advantage. He saw a fire extinguisher in the corner of the room. It might not do much, but the pressure would probably slow him down. He hurdled towards the glass container, smashing it with a quick jab. The mutie was coming at him again, he had to work fast. Like mili-second fast. Bloodhawk ripped the extinguisher out of the container, turning around letting loose with tha foam! Gez felt bad for the kid, but what could possibly terrify someone like that? Sure he'd seen some pretty disturbing stuff, but nothing ever bothered him like that. Although, Gez didn't know what he'd do without his Scout Sniper Training, or even Basic Training. "The usual, eh? What line of work are you in?" "Um, I kinda do odd jobs, y'know, this and that..." Cale hesitated for a second. Cale got real quiet, Gez figured he should change the subject. "Ever used firearms before?" Gez thumbed the 1911 Custom resting comfortably in the console holster next to the shifter. "I've never put much trust in guns. People should be able to be perfectly fine using what they're given naturally." "Understandable. I can't count how many times CQC and good, well balanced combat knife has saved me. But I prefer neutralizing targets from afar, if you get my meaning." "Marksman, then? What're you doing this far from the action, then?" "My tour ended three months ago." "So you're kinda on vacation then? Norton Peak wouldn't have been MY first choice to get away from it all." 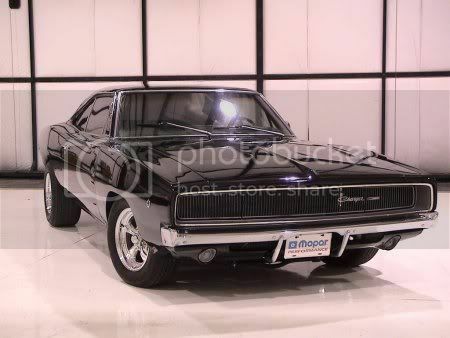 "I inherited an an estate here from my father, it really is a great place once you get to know it..."
Gez cut the wheel, drifting the Cuda around the corner up the Mall parking garage ramp. He parked on the third floor, reserved for classic, luxury, and exotic automobiles. Gez unholstered the 1911, checking the magazine. "Going or staying?" Yeah, like Zach was going to sit down here and wait for whatever was following him to catch up. The best thing to do was to keep on the move. Besides, without his mask and gauntets, he didn't want to go around practically shouting that he was a metahuman by using his powers. So mabe it wa best to stick with the Sergeant. Besides, having a Marine with you was bound to be useful. "I'll come along. That's alright with you?" "So. Any particular reason for carrying a loaded gun while walking into a shopping mall?" "You can never be too careful." "I dunno, some weirdo on a motorcycle crashed through the front, and started running through the stores, attacking random people. I still say it's a terrorist attack. Not even the malls are safe these days!" Cale shook his head, and let the man flee with the rest of the panicking crowd. By now, Sergeant Barrett had his pistol in hand, and was busy assuring the jumpy and terrified citizens that he was a United States Marine, and yes, he was perfectly capable of dealing with this situation. The fact that they freaked out when they saw the gun, but yet did not clue into the service uniform until directly informed also was slightly amusing. Zach Cale grinned to himself; he knew that having a Marine around was bound to come in handy. The now anxious to help citizens also provided Barrett and Cale with the direction that the "terrorist" was to be found. Newcomers also stated that he was currently 'fighting a metal man'. Cale found this part to be particularly interesting, given his line of work. With this new bit on information, Cale even doubted the accuracy of the terrorist claim. More likely it was a brawl between two metas that spilled out into the nearest place; the mall. The other super had managed to get a hold of a fire extinguisher. Michael coughed as he was blinded by the white foam. Out of the blue Michael was delivered a kick to the temple. He had the mind to grabbed the foot for a second throwing his attacker off his feet. The super fell to the ground but Michael couldn't quite find him. A punch came striking Michael on the chin. A cry of pain came from in front of him. Michael blindly rushed forward and grabbed the man as soon as he crashed into him. Michael managed to get out of the haze and into the food court. Michael grabbed him by the throat and pinned him against the wall. "Now. You take your bike and you get out of here. I don't want to see you trying to hurt these people again." "I-grrrk- wasn't trying to hurt-gahk-them. Just going after a target." "Oh really? Who was your target now?" "I dunno. She was taken away with that other mutant." "Carmen. Well we're going to find them and have a little talk with them. Let's go." Michael dropped the man to the ground and led him out. "I'm Michael Shaw. Not much for the super name. But it's Mimik." As Bloodhawk went to get his cycle Michael saw a familiar sight coming through the wreckage. "Gez! Long time no see buddy!" Bloodhawk was pissed. He wanted to kill this guy, even if he was trying to help him. Luckily, Cale didn't play by the rules. Unlucky for "Mimik". But now he had a buddy. This was going to be tricky.... and more than likely this "Gez" was a mutie, because they always travelled in packs. As Bloodhawk went back to grab his bike, he was paying very close attention to Michael. *I could always use the haitian dart if he gets out of hand..... but i only have one.... hmm...* Austin thought, picking up the cycle. The two buddies were making small talk now, and Mike was paying no attention to Bloodhawk. Cale smiled, propping the bike up against a food court table. He walked closer towards Michael, pulling out a dart and pricking him rather quickly. His metal body faded to flesh. As Michael looked at his body in confusion,Bloodhawk picked up a chair, hefting it slightly, and smashing it against mike's head. The mutie crumpled to the floor, groaning in pain. Bloodhawk held the dart a few milimetres away from Mimik's neck. "Do you know what this is? This dart is coated in the blood of a.....certain mutie, like you, except different. If you make the wrong move, I'm gonna drive this into your throat, and trust me, you won't be able to absorb THIS material. The blood will negate all effects of your abilities, and I'm just going to assume that you trust me, as you aren't metal anymore. And by the way, these darts are very hard to come by. very. So, are we gonna do this my way, or would you rather be pushing up daisies?" Cale snarled. He had the feeling that Michael's buddy already had his gun out and aiming at the weakest point of his body armour. "And you, Gez, probably want your friend intact correct? How about you tell him what to do." Gez was almost laughing at how funny Mike's complexion looked made of hardened steel. "Going for the carbonite look, eh?" Gez slapped Mimik on the shoulder, who then proceeded to imitate Han Solo's frozen pose. "Haha! You could make money on that one, you know it?" "Yeah, I suppose I could. You think it's that great?" Mike raised a brow curiously. "Sure, the boys down at the Kragget would get a kick-" Gez was cut short as he watched as Bloodhawk pulled a quick, unexpected One-Two blow to Michael, the metal faded away, revealing his normal skin. He had a brief, puzzled look on his face before a chair collided with the side of his head. Gez instinctively Focused, unsheathing a hidden three-sided knife and leveling his 1911 on Bloodhawk in one blinding CQC motion. For now, he was going to listen to what the man said. "Do you know what this is? This dart is coated in the blood of a.....certain mutie, like you, except different. If you make the wrong move, I'm gonna drive this into your throat, and trust me, you won't be able to absorb THIS material. The blood will negate all effects of your abilities, and I'm just going to assume that you trust me, as you aren't metal anymore. And by the way, these darts are very hard to come by. very. So, are we gonna do this my way, or would you rather be pushing up daisies?" Cale snarled. "And you, Gez, probably want your friend intact correct? How about you tell him what to do." "I could, but he doesn't take orders very well." Gez took a step to the side slowly, keeping the 1911 Custom trained evenly on Bloodhawk. "Then again I could try, but he'd most likely reply with a smart remark." "So let's review. You stab me, I lose my mutant powers. Woohoo. But in turn, you die. So, mind letting me up buddy?" Bloodhawk audibly snarled. "What makes you think I'm afraid of soldier boy here?" "Marine Scout Sniper." Gez shot back in a very irritated tone, taking a small step closer. "Fine, whatever." Bloodhawk's tone was a little less confident. "You still don't scare me-"
"Where would you like it? Shoulder joint, kneecap or ankle? There is always the face, and I'm willing to put the entire magazine there without hesitation." Zach stood where he had entered, dumbfounded. So 'Gez' knew Mimik, then. In a way, Cale found this slightly ironic. But then, there was a problem about the Bloodhawk character holding Mimik at....needle-point? Who in turn had a gun pointed at him. If it wasn't such a serious situation, Cale would've laughed at how much it reminded him of Pirates of the Caribbean. "Now, c'mon guys. As the only non-combatant here, I can honestly tell you that this situation looks ridiculous." Cale gave a half-grin. "I mean, can't we all just get along?" The others, almost in unison gave him an odd look. Cale shrugged; okay, that wasn't the answer. Maybe if he found out why the two metas were fighting, and what Bloodhawk's abilities were, he' be able to put an end to this chaos. So Zach decided to stop talking, and continue watching.